Fr. V. at Adam’s Ale explains what all those fancy gold – and sometimes silver - things are at Exposition and Benediction. He also has a moving reflection on his satisfaction with the priesthood. Thomas, that American Papist, is looking for fans on Facebook. He wants 500 fans by March 15th. If you’re on Facebook go help him out. I did. He also points us to an article confirming global cooling and an increase in the polar ice caps. I hope my high school students are paying attention (it’s what I’ve been telling them all along). There is an excellent article on the history and development of the chasuble – the outer vestment worn by the priest at Mass – at The Saint Bede Studio. I tip my capello to Thom for this one. Fr. Selvester offers proof that the Holy Father does not – contrary to the many media claims – were Prada shoes. He found the cobbler’s web site (who also made shoes for Pope John Paul II). Thom at Ad Dominum thinks the Cathedral of the Immaculate Conception of the Diocese of Springfield in Illinois is "beautiful." I concur. And it will be even more beautiful once the preseveration and renewal is complete. You can view pictures of the Cathedral here. Update: Apparently I keep giving incorrect information about this radio station; I'll get it right soon! The FM call numbers are 104.7. It has been corrected below. Update: I've been reminded that this wasn't technically my first time on the radio since we broadcast our 5:30 p.m. Saturday evening Mass on Sunday mornings on this station at 10:30 a.m. (I think). The radio interview this morning went well, I think, and I've already received a bit of positive feedback from it, and none negative (yet). We talked about a great many things Catholic and otherwise in the course of the twenty minutes and I'm looking forward to going back. I'll next be back on Monday, March 10th, at 7:40 a.m. on WCRA, AM 1090 and FM 104.7. Mr. Bence is going to see about converting the interview to an mp3 format which I could link from the blog, or at least from personal web site (that's currently being redesigned). For nearly twenty-four hours I've felt a bit like a walking Bob-omb, one of those dangerous walking bombs that made their first debut in Super Mario Brothers 3 (What can I say? I received my first job because I played video games. Honest!). Thanks be to God my fuse was not lit, or it least it was blown out. Yesterday I traveled to St. Louis to see my rhumatologist for what I thought I would be just a routine visit following an increase in my medication around Christmas. As it turns out, my blood pressure is high enough to cause serious concern, so much so that I was ordered to stop taking my anti-inflammatory medicine (which raises my blood pressure) immediately. I was given a prescription for a blood pressure medication and was sent to the lab for two chest x-rays, two hand x-rays, and two feet x-rays. Afterwards they drew six vials of blood for various tests and my elbow is still sore from that. I then drove to Carlinville for a gathering of the priests of the Diocese which, even with the new concerns for my health, was mostly enjoyable. What concerned me was not so much the high blood pressure or what it might cause but the possibility of having to live without my arthritis medication. I remember well what life was like before the medicine and, frankly, I never want to live like that again. Last night before bed I asked St. Anthony of Padua to intercede for me with the Lord and I - to the extent that I was able - offered the sufferings that I expected in the morning in union with the Cross for the Holy Father. Awaking in the morning I was stiff and sore, but strangely not swollen. Even thirty-six hours after the last dose of medicine (which I was taking four times daily) my joints weren't swollen, just sore. I left the gathering of priests early to return to Effingham to meet with a doctor about my blood pressure. I was able to get in rather quickly - a great blessing since I hadn't as yet chosen a doctor in Effingham). I was very pleased with the doctor. He gave me another blood pressure medicine to take with the other one I was given and he gave me back my arthritis medicine, for which I am deeply grateful. He told me I must exercise at least thirty minutes a day three times a week. I do not like this and I know that I will have to pen it into my calendar, but if I must do it I will do it. As I recall my blood pressure is normal high, judging from the fact that since I first developed the arthritis every nurse always asked, "Is your blood pressure normally high?" but apparently now it's higher than the doctors want, apparently high enough for a potential stroke. The medicines, combined with the exercise, should bring my blood pressure down and the doctor in town didn't seem too concerned about it, which very much relieved me. I had a very enjoyable visit with him, strangely enough. Until I have a better sense of where my blood pressure is and what I need to do I am going to scale back any unnecessary duties and activities so I'm not blogging as much in the next few days please excuse me and know that I will get back to it. After meeting with the doctor in Effingham I called my doctor in St. Louis to check on the tests that were run yesterday. The x-rays all came back fine. My blood count is good, my liver and kidneys are good, and my SED rate (which measures inflammation) is only a 2 (it has been a five in the past). We're still waiting for a couple of results but everything looks good, good enough to decrease my arthritis medicine from four times a day to three. I'm very much at peace with all of this now so I ask you not to worry, either. On a happier note, the Effingham Daily News published my Letter to the Editor today (finally) and my new glasses came in and are now on my face. You'll see them tomorrow I expect. The State Journal-Register has an article on the Cathedral campaign, Built on Faith, Renewed in Hope. The highlight of the article is the three pictures it provides, two of which show part of the initial work that has been done. The progress is stunning! If you value your sanity, I wouldn't bother reading the comments following the article. I wasn't able to get to Springfield today because of reasons that I'll explain later this evening. Perhaps I can make a trip there on Friday. Update: I gave the wrong call letters when I first posted this. WCRC is the sister station of WCRA; WCRC plays country music and I wouldn't want you to listen to that - it might hurt your ears like it does mine. WCRA, on the other hand, is news talk and is on AM 1090 and FM 104.7. I've made the appropriate changes in the original post. William Bence of WCRA AM-1090, "The Talk of Effingham," has just asked me to be a monthly guest on his morning radio show. I happily accepted. I will be his guest on the second Monday of each month at 7:40 a.m. Together we'll discuss some of the misinformation circulating about Catholic beliefs, as well as the media and history, and probably whatever else comes to mind. William and I bump into each other in the coffee shop from time to time and in other places as well and we always end up talking and having good conversations. I'm very much looking forward to speaking with him each month. Thursday morning at 7:40 a.m. I'll be speaking with him about the media bias against Catholicism in pariticular and Christianity in general, and probably a couple of other things besides. Remember: AM 1090, 7:40 a.m.
What follows is the Letter to the Editor I intend to submit tomorrow in response to Associated Press article, "Interfaith leaders say Jewish groups may be overestimating impact of revised Catholic prayer." Your comments are welcome. 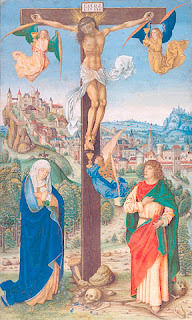 On February 5, 2008, Pope Benedict XVI altered a prayer to be used in the celebrations of the Good Friday liturgy of the Missal of Pope John XXIII – the so-called Tridentine Rite - in Catholic Churches. According to an Associated Press article published in the Effingham Daily News 22 February 2008, the prayer that was altered “had historically been used as an excuse for violence and discrimination against the Jews.” This claim simply is not possible since Pope John XXIII had already revised the same prayer in 1962. The point the Cardinal makes is that people can offend Catholics all they want and nobody cares but when someone happens to be offended by a Catholic people go up in arms. 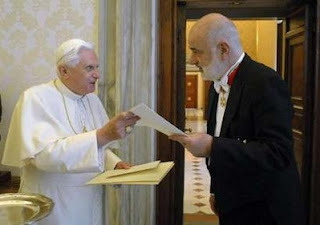 The Anti-Defamation League has gone so far as to put Pope Benedict XVI on the same list as Iranian President Mahmoud Ahmadinejad. The basic premise of the article - written two weeks after the prayer - comes down to the fact that some people – the media in particular – do not think the Catholic Church has the right to pray for the conversion of people of other faiths. Three times each day in synagogues throughout the world the Jewish people pray for the conversion of the Gentiles, a fact not once mentioned in the article. If the Jews can pray for the conversion of Catholics – and others - why can Catholics not pray for the conversion of the Jews? Israel prays for the gentiles, so other monotheists – the Catholic church included - have the right to do the same, and no one should feel offended… I do not see how in spirit or in intent these prayers differ from the one [revised by the Pope] under discussion…. The proselytizing prayers of Judaism and Christianity share an eschatological focus [view to the end of the world] and mean to keep the door to salvation open for all peoples. No more than Christianity and Islam take umbrage at the Israelite prayer should holy Israel object to the Catholic one. Professor Neusner’s remarks are very true. Let us pray for the Jews. May the Lord our God enlighten their hearts so that they may acknowledge Jesus Christ, the savior of all men. Almighty and everlasting God, you who want all men to be saved and to reach the awareness of the truth, graciously grant that, with the fullness of peoples entering into your church, all Israel may be saved. This comes directly out of the writings of Saint Paul. It is difficult to see how this prayer hinders Jewish-Catholic dialogue since it contains nothing contrary to previous prayers and nothing contrary to Catholic teaching, despite what some have suggested. The remark by Philip Cunningham that the prayer in the Missal of Paul VI contains “no mention of Jews coming to faith in Jesus the Savior” is simply false. If the Catholic Church cannot be allowed to pray for the conversion of people to the faith of Jesus Christ – whom she professes to be the Messiah – what kind of dialogue can there be? The dialogue that is asked for is not authentic theology but relativism, which says that all religions are equal. Such a position is neither authentically Jewish nor Catholic. 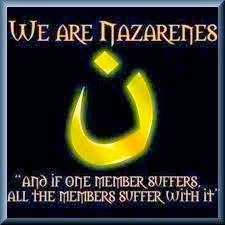 To pray for the conversion of people of other faiths is an act of great love because it is a desire for all people to come to the knowledge of the truth. The Catholic Church recognizes Jesus Christ as the only way to salvation and if she would not pray for the conversion of all peoples she would be denying her very faith. The Catholic Church takes most seriously the words of the Savior that “no one comes to the Father except through me” (John 14:6). At a press conference today, the Most Reverend George J. Lucas announced plans for the preservation and renewal of the Cathedral of the Immaculate Conception in Springfield, Illinois. At the same time he announced an $11 million campaign for this project called "Built on faith, renewed in hope." Some of the work has already begun and I hope to be able to stop by the Cathedral on Wednesday to take a few pictures of the work. I know that a couple of blogs caught wind of this project a couple of weeks ago and - judging from those I've spoken with who have actually seen the plans and the work done thus far - their fears are unfounded. "The Cathedral of the Immaculate Conception is an anchor for Catholic life in our diocese," said Bishop Lucas. "Our Cathedral was ‘Built on Faith' through the planning and generosity of those who preceded us. When the restoration and enhancements are completed, our Cathedral will be ‘Renewed in Hope.'" I've posted pictures of the Cathedral on my Facebook page. The following really only applies to my readers from the Effingham area, but others of you want to come, you'd be most welcome! The 2nd annual St. Anthony Trivia Night will be held on Saturday, March 29th after 5:30 Mass. Start putting your team of up to 8 players together and call the parish office now to reserve your table. Last years event was a huge success. Many shared an evening of competitive (some much more serious than others!) fellowship. This is your opportunity to get front row seating (and parking) at your choice of Christmas Eve Mass. We are looking for unique items for our live and silent auctions. If you have any ideas or have an item to donate, please let us know. The proceeds from this years event will be shared with the students who will be attending World Youth Day in Australia. We also plan to make a donation to the students who will be attending the Summer Work Camp. The entire team of eight works together in submitting the answers to the trivia questions. At no time is any player asked to answer a question individually. The majority of the questions are not scholastic and at some point during our lives we have probably been exposed to the content of the majority of the 10 categories that will be presented in a question format. Last year pizza was offered for purchase for those coming directly from Mass and each table brought some type of snack to be shared amongst their group. This morning I sat down and typed a response to an Associated Press article entitled "Catholic leaders tangle with Irish-American groups as St. Patrick's Day, Holy Week overlap," (no doubt one of the longest AP headlines to date) published in Friday's issue of the Effingham Daily News. Though I didn't explicitly state such in my response, I find it most curious that the fact that Irish-Americans might be tangling with Church leaders apparently never entered the reporter's realm of plausibility. When turning into your driveway, do not look across the intersection at the crossing guard shoveling snow because you never know when a very large garbage truck will be leaving your driveway as you enter it. You can't say you haven't been warned. It's not a pretty picture. The recent article by the Associated Press published in the Effingham Daily News on February 22, 2008, “Catholic leaders tangle with Irish-American groups as St. Patrick’s Day, Holy Week overlap,” stated: “liturgical rules dictate that no Mass in honor of the Saint (Patrick) can be celebrated on Monday, March 17,” which falls during Holy Week. The article seems to imply that St. Patrick’s Day is being singled out, which simply is not true and that this holiday is primarily a secular celebration, which is also not true. The celebrations of Holy Week always take precedence over other liturgical celebrations and for this reason the Memorial of St. Patrick has this year been transferred to March 14, the nearest available date to his usual commemoration. The new date has led many Bishops to request civic celebrations of St. Patrick be celebrated in unison with the liturgical feast or, at the very least, not during Holy Week to keep the due solemnity of these sacred days. These Bishops are to be commended for requesting the life and mission of the Apostle to Ireland be celebrated properly, without detracting from the celebrations of Holy Week and the central mysteries of the Christian faith. Civic leaders would do well to remember that the celebration of St. Patrick is not primarily a celebration of Irish heritage; Patrick himself was not an Irishman but a Britain. Bagpipes have their origin in the Middle East of the second century and poor, Irish immigrants picked up corned beef and cabbage in the U.S.A., a food not known in Ireland at the time. St. Patrick’s Day celebrates instead the life of the fifth century Bishop who brought the Gospel to Ireland and converted the people to the faith of Jesus Christ. The parades and other festivities – enjoyable as they are – should always take second place to the actual commemoration of the life of St. Patrick by the Church because his feast is her celebration. I want to say that I do but as I try to think of what book I associate with what place I can't really think of any, so I suppose I don't. From time to time as I read a book again I may remember where I was I first read it. I suppose the only book that I associate with a place - off the top of my head - is Pope Benedict XVI's Deus caritas love. When I was in Hawaii I read a good portion of it on Sunset Beach. That was a beautiful day. More often than not I don't quite remember but thumbing through them very briefly it starts to come back to me. I've one of cursed memories that remembers what pages look like. I can think of a quote - more or less - and know what author wrote it and get a visual in my mind of the layout of the page its on. I then go to my books and start flipping hurriedly through the books of that author until I see the page layout I wand and then skim until I find the quote. It works 85% of the time (give or take a couple of pages). Character names aren't always so clear for me but the general plot usual sticks, though I may a reminder or two to get it going. 3. Have you ever forgotten you've read/own a book and borrowed/bought it again? Not so much that I've read a book, but that I own it. That's one reason I've started using Library Thing. Now when I see a book I'm not sure if I own I hop online and find out (though I've only added a third of my library...). If you want to be tagged for this meme, you are! The Holy Father's Message for the 45th World Day of Prayer for Vocations (April 13th) has been made available. Focusing on the theme of Vocations at the service of the Church on mission, Pope Benedict XVI says that responding to the Lord's call "means facing in prudence and simplicity every danger and even persecutions" (2). Even so, those who respond to the call of the Lord are not without hope, for "the Holy Spirit transforms this trial into an occasion of grace, using it so that the name of the Lord can be preached to other peoples, stretching in this way the horizons of the Christian community" (3). Vocations to the ministerial priesthood and to the consecrated life can only flourish in a spiritual soil that is well cultivated. Christian communities that live the missionary dimension of the mystery of the Church in a profound way will never be inward looking. Mission, as a witness of divine love, becomes particularly effective when it is shared in a community, “so that the world may believe” (cf. Jn 17: 21). The Church prays everyday to the Holy Spirit for the gift of vocations. Gathered around the Virgin Mary, Queen of the Apostles, as in the beginning, the ecclesial community learns from her how to implore the Lord for a flowering of new apostles, alive with the faith and love that are necessary for the mission (9). Let each of us pray for men and women everywhere, that they might respond with generous hearts to the Lord to whatever he calls them. The Lord has not stopped calling men and women to follow him in the priesthood and consecrated life, but there are few no who are silent enough to hear his call. Pray that the ears of men and women everywhere be opened. KSDK-TV in St. Louis, Missouri ran a story last week on Fr. Bill Kessler (who's place I took here as Parochial Vicar), a priest of the Diocese of Springfield in Illinois, who is also known as the Techno Priest. There seemed to be some interest in my posting the funeral homily I preached yesterday and so I will post the homily, though without the name of the deceased. The readings for the funeral were Isaiah 25:6a, 7-9; I Corinthians 15:51-57; and Matthew 5:1-12a. It is here on this mountain at which we have gathered - here at this sanctuary of the Lord - that “the Lord of hosts will provide for all peoples. On this mountain he will destroy the veil that veils all peoples, the web that is woven over all nations; he will destroy death forever,” (Isaiah 25:6-8). Like so many of his followers before, we have gathered here at this mountain with confused emotions and mixed feelings. There is something about Jesus that continually draws us toward him; there is something different about him, about the words he speaks, he teaches with authority and by loving example, and so we know his words to be true. We have seen his power and we have experienced his love. For this reason we follow him and in our grief we come here to this mountain that he might teach us, that he might comfort us, that he might give us peace. Jesus sets before us the characteristics of one who seeks to follow after him and share in his glory. All who follow Christ are called to conform their lives to his. It was Jesus who became poor for us; it was Jesus who mourned for Jerusalem; it was Jesus who showed us the beauty of being meek; it was Jesus who spent countless days fasting for us; it was Jesus who brought the infinite riches of the mercy and love of the Father for us through his death on the cross. He calls us to follow him in all things and, having done so, we “will be called children of God” (Matthew 5:9). His children are born from the waters that flow from the pierced side of Christ. 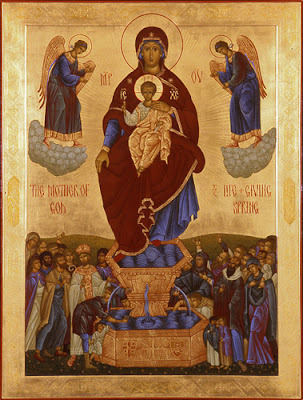 Entering into the sacred waters, all who are baptized die with Christ and rise from the waters in newness of life, receiving the promise of the resurrection of the body on the last day. As N. was baptized into his death and resurrection, so we sprinkled his body with holy water to call to mind the promise of eternal life he received from the Lord. At our baptism we were clothed with Christ and received the pure and spotless garment as new creations cleansed of our sins. We return to N. this morning his baptismal garment to present to the Lord when he meets him face to face. It is right that we come here to the Lord and that we bring N. with us. We, in our love and in our grief, present him to the Lord and ask him to again show his mercy and love to N. that he may share in the eternal banquet of the Lord. At the same time, we beg the Lord to give us comfort and strength in this time of sorrow and to increase our faith and hope in the resurrection of the dead. As we mourn the death of N., let us take consolation in the words of the prophet Isaiah: On this mountain, “The Lord God will wipe away the tears from all faces; the reproach of his people he will remove from the whole earth; for the Lord has spoken” (Isaiah 25:8). Here on this mountain, here on this altar, the Lord Christ will again come to us. The Lord will come to us in the Eucharist and will say to us, “I am the living bread that came down from heaven; whoever eats this bread will live forever; and the bread that I will give is my flesh for the life of the world” (John 6:51). Receiving his Body and Blood we will share in the foretaste of the heavenly banquet. Here on this mountain, in the Holy Eucharist, we hear the words as if trumpeted from heaven: “Behold our God, to whom we looked to save us! This is the Lord for whom we looked; let us rejoice and be glad that he has saved us!” (Isaiah 25:9). He has indeed saved us and he will come to us. As we gaze upon our Lord in the Eucharist and receive his Body and Blood we call to mind not only his own words but also the words of St. Paul who said, “For the trumpet will sound, the dead will be raised incorruptible, and we shall be changed” (I Corinthians 15:52). Because of Christ’s triumphant victory over sin and death on the cross, we can mock death with Paul, “Where, O Death, is your victory? Where, O Death, is your sting” (I Corinthians 15:55)? For those who share in the death and resurrection of Christ, death has no more power. Death is not the end, but is rather only the beginning to life with God for those who have been changed into Christ. One day we all shall be raised from the dead and, if we have lived a life worthy of him, we shall live with the Lord forever. At the end of our earthly lives, what matters is our fidelity to Christ, the way in which we loved God and neighbor. Everything else passes away. In the face of death life acquires a new meaning, a new purpose. At the end of life, death deprives us of all that is earthly, but not of that Grace and sacramental “character” by virtue of which we are indissolubly associated with Our Lord and Savior’s Paschal Mystery. Emptied of all but clothed in Christ: thus do the baptized cross the threshold of death and are presented to the just and merciful God. Thus do we present N. to the Lord today as we ask him to open wide the gates of Paradise to his servant. Eternal rest grant unto him, O Lord. And let perpetual light shine upon him. May his soul, and the souls of the faithful departed, through the mercy of God, rest in peace. Amen. Pope Benedict XVI, Homily, 4 November 2006. Few things are more satisfying on a hot and sunny summer afternoon than a nice, cold glass of water. Perhaps this is why the Lord offers us that water that “will become in him a spring of water welling up to eternal life” (John 4:14). In much the same way that water satisfies our physical thirst, Jesus wishes to satisfy our spiritual thirst. What is this spiritual thirst? It is that desire, that great and insuppressible longing, for meaning and purpose in life, for peace, for fulfillment and satisfaction, for joy. In short, it is the thirst for God himself present in each of us whether we recognize it or not. The first reading contains a powerful foreshadowing of the way in which the Lord will satisfy the thirst of his people. This is not the first time that the people “grumbled against Moses” (Exodus 17:3). In the previous chapter they grumbled because they were hungry and so the Lord fed them with manna from heaven. Today they grumble because they are thirsty and so the Lord gives them water from the rock. Just as the Lord satisfies their physical hunger and thirst, so will he satisfy our spiritual hunger and thirst. Let us take a closer look at that rock. The Lord said to Moses, “Strike the rock, and the water will flow from it for the people to drink” (Exodus 17:6). Clearly this was no ordinary rock! We see this beautifully depicted in the window above that of Saint Clare. From the heart of the cross flow seven streams, each flowing into a fountain. These waters are the Seven Sacraments that receive their grace and power from the heart of the pierced Savior and the fountain is the Church. Through the Eucharist Jesus satisfies our spiritual hunger by giving us very own Body and Blood, Soul and Divinity, to nourish us and sustain us on our pilgrim journey. Answering our plea, “Stay with us” (Luke 24:29), Jesus fulfills his promise: “I am with you always, to the close of the age” (Matthew 28:20). If the Lord is to dwell in our midst it is fitting for us to give him a proper house, both to honor his presence and to safeguard his Body and Blood from any profanation. No doubt you noticed that the tabernacle is different today than only a few days ago. The former tabernacle – noble and beautiful as it was –could easily have been broken into because it was not very secure. The tabernacle has been changed out of growing concern for the safekeeping and protection of our Eucharistic Lord. The current tabernacle is far more secure than the last. Monsignor Enlow and I discussed the matter and thought about placing this more cylindrical tabernacle where it is. We called two carpenters in the parish to look at the old tabernacle and asked their thoughts. They thought our plans were good and could easily be done, and by the end of the day the new tabernacle was in place. 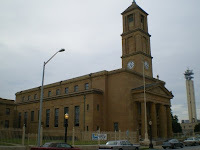 If you recall, the former tabernacle very much resembled the church with its four pillars and sloping roof. This will return soon in the form of a canopy over this tabernacle as soon as it is resized to fit properly. I know that when the doors in the front of the tabernacle were put in some years ago they were a cause of no small debate. I am happy to say that these doors will never close again. Let me explain why. It was said a few years ago that the focus of the Liturgy is the altar and that the tabernacle should not be located in the sanctuary because it is a distraction and that churches in Europe did not have the tabernacle in the sanctuary. This thought was never part of official teaching and you will not find it in any authoritative theological or liturgical document. These were the thoughts of a few people that were somehow forced through in several places, but never the mind of the Universal Church. It is true that the altar is the primary focus of the Liturgy but it is not true that the tabernacle is a distraction. The Blessed Eucharist is reserved in the tabernacle for your personal prayer and adoration and I invite you to stop in the church periodically to visit with the Lord. It is also true that Cathedrals in Europe often do not have the tabernacle in the sanctuary. Instead they have the Bishop’s chair, the Cathedra, in the sanctuary. However, in the parish churches, the tabernacle is very often in the sanctuary. The doors that were installed here found a clever loophole to meet Diocesan policy at the time without removing the tabernacle. I heartily commend whoever thought up those doors. But now, as Diocesan policy has come in line with the liturgical thought of the whole Church, the doors are no longer needed. Consider it this way: Jesus is present in the tabernacle, Body, Blood, Soul and Divinity. Is he less present because a screen is placed in front of the tabernacle? Of course not! Theologically and liturgically there is no reason for the doors and so they will now remain open. Let us now return to this living water given to us through the sacramental life of the Church. Are you at peace? Is your soul at rest? If not, it is because your sin has separated you from Jesus Christ, from him who is our peace. During this season of grace, why not approach the Lord in the Sacrament of Penance and drink freely of the living waters offered you there? Come to the Lord and be satisfied. Come to the Lord and know peace. Come, and drink from the waters of salvation! Amen! In reality, His Holiness is meeting with the Serbian Ambassor. Somehow I missed this remarkably hilarious post over at the American Papist two days in a row. Thomas has outdone himself this time! Ordinarily, I might this entirely too funny for a Friday during Lent, but it is the Feast of the Chair of Peter. The more you enjoy sacrasm and wit, the more you will laugh. I'm still laughing about that poor baby dinosaur and - having read the post just before setting up for Mass - I was laughing in the sacristy as I set out the chalices. 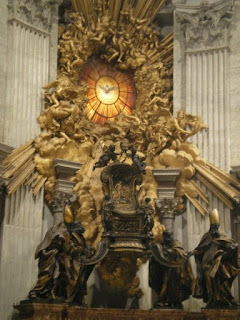 Update: The picture of the Chair of St. Peter in Antioch has been added. Two years ago today, being a Wednesday, the Holy Father Pope Benedict XVI devoted his Audience address to the Feast we celebrate today, the Feast of the Chair of Saint Peter, the same day he named fifteen Cardinals (which, of course, you should read today). I am blessed to have been in both locations, having prayed for Pope John Paul II in the Antioch (and in Rome) and for Pope Benedict XVI in Rome. Today, let your sacrifices be offered in loving prayer for the Successor of Saint Peter, Pope Benedixt XVI, the Teacher, and for his intentions. When I awoke this morning I set out for the day with a slate full of things to accomplish, none of which at this time (2:47 p.m.) have been accomplished. After celebrating Mass I returned to the rectory for a breakfast of cinnamon raison toast - toasted just enough to be crunchy and melt the butter. After eating and chatting a bit with the Pastor I went to my office. I set to work at clearing away the Inbox - and was only partially successful - before needing to return to the church to consult with a couple of parishioners and the Pastor about our tabernacle. It is a nice tabernacle but we had some concerns as to its security and wondered what might be done to solve the situation. Three hours later I left the church very excited about the plans we agreed upon and had already half completed. Pictures of what have been done later today, if things go as planned, but the ice storm we are in right now may hamper those. After eating lunch I returned to the office to get back to work, only to learn that our grade and high schools were dismissing an hour early because of the weather and would not be stuffing the bulletins for the weekend. I then sat down with the secretaries and set to work stuffing the bulletins. Then a friend called asking the placement of an Abbot in a procession for the installation of a Bishop (my friends always ask strange questions). Not knowing the answer I set to a bit of investigating (he goes at the head of the Bishops) and now, here I am. It has been a good day but I don't really feel that I've accomplished anything and I'm not really in the mood right now to set to work. I want to go for a swim but with the weather I'm not about to venture out. A slave driver of myself I must now become. I have a funeral Saturday morning and so much select the readings and begin writing that homily, as well as Sunday's homily. I have things to organize for a viewing of Saint Anthony: The Miracle Worker of Padua on Saturday evening. I have e-mail to attend and a couple of letters to write. My checkbook needs to be balanced and a few bills paid. 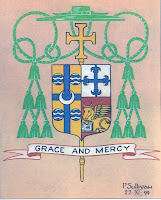 My own web site needs more work as does the parish web site. My office has to be picked up a bit and I need to finish a couple of books. Last weekend after emerging from the church in Arcola after celebrating Mass I was called to the home of a woman who had died while I was celebrating Mass. This was - in and of itself - a first for me. I was not able to visit really at all with the family, but I was able to pray the Prayers for the Dead with the body and the family before returning to Tuscola for the next Mass. Before I left I told the family that since their Pastor was out of town that they could call me to help with the funeral - or whatever else - if their former Pastor was unable to return. The funeral home called the next day and asked me to come for the Vigil service. This I was happy to do. I hopped in my car on Tuesday and made the hour-long drive for the Vigil. The family welcomed me as though they knew me for quite a while when, in reality, they didn't even know me from Adam. They didn't even know my name (I forgot to give the family my card but gave one to the secretary). At the family's request, we had the Vigil at the beginning of the visitation (at 4:30) - because of the distance I had to travel - and after the Vigil I returned to Effingham. They welcomed me warmly; rather, they welcomed the Priest of Jesus Christ. Who I was - with my personality and history and what not - was not nearly as important as what I was. Some might say this is a very impersonal and sad way to look at ministry, but I find it to be quite the opposite. It is very freeing to simply walk in as a priest without seeking to be liked personally by every one (naturally I didn't walk in trying to upset people). What matters is not me but Christ. If they remember me but forget Christ then I have failed. If they remember Christ and forget me then I have succeeded. A blessed and glorious life it is indeed! Hail to thee, Alma Mater! One of my appointments for the day was a gathering of Quincy University alumni and prospective students this evening at the local coffee shop. Being the introvert that I am, I do not generally enjoy these sort of “meet and greet” events. In fact, I generally despise them preferring to stand quietly in a corner with a few friends. One of my professors in the seminary (himself a strong introvert) remarked once that these such gatherings should have a special room set aside for introverts since they naturally gather together anyway. This would please the introverts (and keep them out of the corner) – who most always enjoy each other’s company – and the extroverts – who almost always worry too much that we introverts aren’t enjoying ourselves. I think he’s right. This evening, though, was a very different experience; I thoroughly enjoyed the gathering of Q.U. alumni and the staff that came from the University, including the new Campus Minister (who was ordained only seven days before me [and who always wears his habit on campus]). I was very pleased to meet him and look forward to visiting him again when I get to back to Quincy, whenever that should be. I spent more than two hours chatting away and I only expected to be there for half an hour or so. I am grateful to the Lord for this great blessing. My time spent at Quincy University not only prepared me very well for the seminary, but were four very blessed and happy years. Perhaps one day I will be able to adequately express my gratitude to my alma mater. Until the Lord should reveal how that might take place, I have offered my assistance in whatever way I can to the representatives from the University. Who was that young quiet priest? Over the weekend, you'll recall that I was in Tuscola and Arcola to celebrate the Sunday Masses. Apparently the people did not know that I was coming or who I was. After one of the Masses I spoke with an older couple whose daughter belongs to this parish. The daughter e-mailed my Pastor, telling him that her parents spoke of "a young quiet priest from Effingham" and she presumed that was me. From time to time it happens that a priest arrives to celebrate Mass at a particular place and nobody seems to know him from Adam (which will lead to another post later this evening [if I remember]). At these Masses, I did not introduce myself to the congregations and only a few people asked who I was after the Masses. Most were simply grateful that I was there. I know that I could have - and maybe should have - introduced myself before the penitential rite, but in my mind that would detract from the sacred mysteries about to be celebrated. I could have introduced myself at the beginning of my homily, but that always seems odd. I also could have introduced myself at the end of Mass before the final blessing, but that would seem to detract from the sacred mysteries just celebrated. What's a priest to do!? In part, I didn't introduce myself because I don't like being the center of attention (the irony of my blogging is not lost on me). Also, what is truly important is not so much who I am but what I am. Now, before you launch into me for that one, by this I do not mean to say that a priest - even me - should not know and be known by his parishioners. Quite the contrary. But is the Mass the time to get to know the priest? I think not. The personality of a priest should never be dominant at the Liturgy; that is part of the reason why priests wear vestments when performing the sacred functions. In the Liturgy the priest acts in persona Christi, not in his own person. Talking about this with my Pastor, he reminded that most likely three quarters of the congregation probably spent the first half of the Mass trying to figure out who I was! This was a point I hadn't thought of. When I was layman I was always slightly annoyed when a priest introduced himself at Mass (but then again, I have to remember - and I always forget this - that I am not and was not like everybody else [this isn't to say that I'm better, only that I'm different, which has its positives and negatives]). So I ask you: should a priest introduce himself to a congregation that does not know him and likely will not see him again? Why or why not? In the charity of your prayers, please remember my father, George William (he went by Bill), who died twenty-two years ago this morning. I may blog a bit about the experience later today (I can't remember if I've done so before or not). My experience that morning twenty-two years has shaped every aspect of my personality, at least so far as I can tell. Though it is a day marked with great sadness it is a day for which I am also grateful. It was this day that I first cried out to the Lord (in not so many words): "My heart has prompted me to seek your face; I seek it Lord: do not hide from me" (Psalm 26:8-9). This is always a difficult day for me and this year it is filled with several meetings and appointments (some of which I look forward to and some of which I do not). Perhaps my favorite picture of my father is the one posted above. 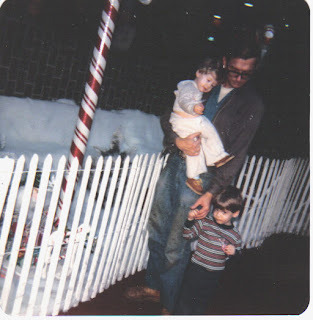 It looks to me as though Dad brought my brother and I to the mall after work to visit Santa. He holds my hand as I walk with him while he carries my brother. A recent article in the EDN (Feb. 6) heralds the beginning of the Lenten Season for many area churchgoers.” [sic] Ash Wednesday was Feb. 6, beginning the observance of Lent in the six weeks before the observance of Easter Sunday. If you are a passionate Bible student and aren’t familiar with these terms, it is not surprising. There is no reference in Scripture to Ash Wednesday, Lent or Easter. These practices have their origins in Catholic traditions. These religious observances were started by man and not by the word of God (Colossians 2:8). Ash Wednesday, Lent, Palm Sunday, Good Friday, Easter Sunday – these are among the holy days celebrated by Catholic, Orthodox and Protestant churches every year at this season. You will not find these days regarded as high or holy by those who remained faithful to the teachings of Christ and the Apostles. This is a distinctive mark which identifies and separates those who have “a form of godliness” but deny its power (2 Timothy 3:5). When the Pharisees introduced and bound their traditions upon men, Jesus called their worship vain (Mark 7:1-9). When men establish their religious traditions, they call them holy days. However, Jesus calls this type of worship “vain” and “worthless” worship. We must follow the divinely-inspired pattern in all things, including how we honor Christ in worship (Hebrews 8:5-6; Colossians 3:17); Galatians 1:8-10; Revelations 22:18-19; John 4:23-24). The scriptures are completely silent in established a resurrection feast for Christians to observe. In fact, just the opposite: “So let no one judge you in food or in drink, or regarding a festival or a new moon or Sabbaths, which are a shadow of things to come, but the substance is Christ” (Col. 2:16-17). The binding of days upon Christians is Satan’s way of drawing the saints away from the gospel of Christ (Galatians 4:9-11; cf. 1 Thessalonians 3:5). Therefore we cannot observe such holidays with the authority of Christ. The question is not whether a Christian can fast (cf. I Corinthians 7:5) or abstain from eating meats (cf. Romans 14:1-6). We are allowed to do these things, but never commanded by God. The question is whether a church has the right to bind or elevate manmade traditions to the level of “Canon Law.” This practice is clearly condemned by Jesus in Matthew 15:8-9. One of the traditions is the practice of abstaining from eating meats on Friday during Lent. But the Scriptures make it perfectly plain this type of abstinence is not condoned by God. The Apostle Paul clearly teaches the practice of “forbidding marriage and commanding to abstain from foods which God created to be received with thanksgiving” is a sign of falling away “from the faith” (1 Timothy 4:1-5). There is no doubt we ought to sacrifice for our Lord; but, the Scriptures teach our sacrifices should be complete and constant, and not just for short church designated periods of time (cf. Romans 12:1, Galatians 2:20). I have withheld the author's name for the purposes of this blog. Mr. N.'s (name withheld by me) letter to the editor, “Observances started by man,” published in the Effingham Daily News 19 February 2008, purports several erroneous claims regarding the celebration of liturgical feasts and fasting. It should be noted that the Holy Days of Obligation for Catholics in the U.S.A. are Sundays, January 1st (the Solemnity of Mary, the Mother of God), the Ascension (forty days after Easter, or the Sunday thereafter), August 15th (the Solemnity of the Assumption of Mary); November 1st (All Saints Day), December 8th (The Solemnity of the Immaculate Conception), and Christmas. These do not include, as Mr. N. claimed, the days of Lent, Palm Sunday (which is part of Lent) and Good Friday. The arguments put forth throughout the letter suggest that the Holy Spirit is incapable of directing the hearts and minds of believers to worship the Lord properly, which clearly cannot be so. Mr. N. claims, “You will not find these days regarded as high or holy by those who remained faithful to the teachings of Christ and the Apostles.” If Mr. N. would read these early Christians – commonly called the Apostolic Fathers – he would find quite the opposite. 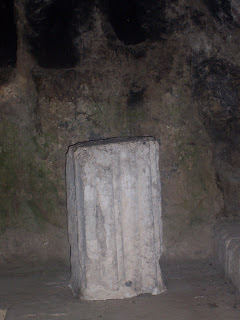 But presuming his claim is true, it must mean that the Church disappeared entirely for well more than a millennia, but to say this would make Jesus a liar, for he declared to the Apostle Peter, “And I tell you, you are Peter, and on this rock I will build my Church, and the gates of Hades shall not prevail against it” (Matthew 16:18). In regard to fasting, the ancient Didache (Teaching of the Twelve Apostles) – written between a.d. 80 - 100 – states very clearly: “But do not let your fasts be with the hypocrites; for they fast on Monday and Thursday; but you shall fast on Wednesday and Friday (8.1, emphasis added). Even prior to this, Jesus commands fasting: “And when you fast…” (Matthew 6:16).” He does not say “if” you fast, but “when.” He also said, “The days will come when the bridegroom is taken away from them, and then they will fast in those days” (Luke 5:35; cf. Mark 2:20, Matthew 9:15). Not only did the Savior recommend fasting, he himself fasted (cf. Matthew 4:2; Luke 4:2). The Christians in Antioch also fasted: “While they were worshiping the Lord and fasting, the Holy Spirit said, ‘Set apart for me Barnabas and Saul for the work to which I have called them.’ Then after fasting and praying they laid their hands on them and sent them off” (Acts 13:2-3). This they did on more than one occasion: “And when they had appointed elders for them in every church, with prayer and fasting, they committed them to the Lord in whom they believed” (Acts 14:22). Clearly, then, when the earliest Christians fasted – and when the Church fasts today – she is following the teaching and example of Christ Jesus. Hence, the origin of the season of Lent: it is a period of fasting and prayer following the example of Jesus. In regards to abstaining from meat, when Saint Paul warns Saint Timothy of those who teach false doctrines concerning “abstinence from foods which God created to be received with thanksgiving,” he is not talking about the practice of abstaining from meat on Fridays but of those who argue that the dietary laws of Judaism are still binding on Christians [which no one to my knowledge does today] (I Timothy 4:15). Abstaining from meat on Fridays in no way suggests that meat is not good (else wise no Christian would ever eat pork), but is instead another form of fasting. From the earliest times, the Church has recommended fasting as a means of spiritual growth because it makes us more aware of our hunger for God and leads to increased prayer, as the lives of countless men and women of faith attest. In regard to gathering on Sunday the Didache commands, “And on the Lord’s Day, after you have come together, break bread and offer the Eucharist, having first confessed your offenses, so that your sacrifice may be pure” (14.1). The Christians gathered on Sunday, the first day of the week, precisely because it was the day of the Resurrection. This naturally led to the celebrations of other events in the life of Christ. Mr. N.’s claim that “the scriptures are completely silent in establishing a resurrection feast for Christians to observe” is simply false. Luke writes, “On the first day of the week, when we were gathered together to break bread…” (Acts 20:7). It is also on Sunday that John receives the vision of the worship of heaven, of which the worship on earth is a foretaste (cf. Revelation 1:7). The reason Jesus said the Pharisees worshipped in “vain” was not because they followed the Law but because they did not follow the Law in their hearts (cf. Mark 7:1-13). We know this because elsewhere Jesus commands the Pharisees be listened to: “The scribes and the Pharisees have taken their seat on the chair of Moses. Therefore do and observe all things whatsoever they tell you” (Matthew 23:2, ff). The remainder of Mr. N.’s claims – which he seems to be recycling - I have addressed in previous letters and will not do so again now, this not really being the place for such things. Many of Mr. N.’s claims stem from a lack of real understanding about what the Catholic Church – and other ecclesial communities – actually profess and do. He would do well to sincerely try to understand such teachings before publicly spouting off against them. Truly “passionate Bible students” would do well to study the Scriptures in their entirety and context, and not pick and choose the verses they like the best to make their arguments. They would also do well to learn from the earliest Christians to truly understand how the early Church – under the guidance of the Apostles and their personally chosen successors - understood the Scriptures and followed the teachings of Christ. He writes all of the time but refuses to even slightly listen to any reasonable objections or clarifications. It's very irritating. I do not write to respond to him, but for those who might read what he says and believe it. Just when you though I'd forgotten about Spe salvi I'm back at it. I'll try to continue posting a bit each day until we get to the end. In the fourth paragraph of his encyclical on hope, Pope Benedict XVI discusses what he terms an “informative” and a “performative” vision of Christianity. In the United States of America, we might term these Christianity of the “mind” and of the “heart,” respectively. This is a serious question for each of us, one well worth considering. Will the hope that we have in Jesus Christ change our lives so that our very lives will bear witness to the reality of redemption? The temptation is all too real for us to be “informed” by the Gospel but not affected by it. We see it especially in the seemingly ever-growing number of people who know about Christ but do not know him. How many in our own families know about Christ but not know him? What will we do to help introduce them not to the facts about Jesus, but to Jesus himself? Turning his thoughts again to Saint Josephine Bakhita, Pope Benedict XVI recalls that “Christianity did not bring a message of social revolution like that of the ill-fated Spartacus, whose struggle led to so much bloodshed” (4). therefore transformed life and the world from within (4). The Christian Gospel is not one of exterior social or political revolution, but of internal spiritual revolution. Christianity unites people in ways that political situations and systems never can. Christians, “by virtue of their Baptism they had been reborn, they had been given to drink of the same Spirit and they received the Body of the Lord together, alongside one another” (4). The interior revolution brought about by Christ helps us see that our home is not here on earth, in this world, but is in heaven. Consequently, the “present society is recognized by Christians as an exile; they belong to a new society which is the goal of their common pilgrimage and which is anticipated in the course of that pilgrimage” (4). The penances that we perform during Lent are to help us detach from the things of this world and to become attached, as it were, to things of heaven, our true home. The “performative” vision of Christianity always leads to heaven, to union with Christ. "came not to be served but to serve, and to give his life as a ransom for many"
These are beautiful and true words and ought to be given to the parents of every seminarian, and even to the parents of men and women in formation for the consecrated life. Pass them on! If you're looking for a heart-warming story, try this one about Victoria Auda, the 99 year old mother of Msgr. Lawrence Auda, who still cooks for her son. His Excellency Bishop George J. Lucas has an excellent column inviting every Catholic to confession. Be sure to read it. preparation has several important elements. Let Bishop Lucas help you prepare for confession. The following is a plea on behalf of my brother priests, who no doubt experience the same: please, please read your parish bulletins. Doing so will save you from unnecessarily irritating your parish priest who has to answer silly questions with the same answer. Me: Good morning. St. Anthony's. Caller: Is Robin [the secretary] there? Me: I'm sorry, the office is closed. Caller: Is Charlie [the business administrator] there, then? Me: No [rather irritated now], the office is closed. It's a bit early, I know, but I'm working on clearing out my Inbox. Jack (that's all I know about him) at 123greetings.com asked me to post a link about their free Easter E-cards (they even "religious" ones, as if an Easter card could be nonreligious). You might have a look at them and send a few out - after Good Friday, of course - and try to take some of the emphasis away from some silly rabbit passing out eggs, or from cute yellow chicks (not that I have anything against confused basket-carrying-rabbits or new-born poultry). One feature I like is the ability to send the same card to multiply e-mail addresses at the same time. The exterior of St. John John the Baptist Church in Arcola, Illinois. The interior of St. John the Baptist in Arcola. The Stations oft the Cross are beautifully painted. They treat their sacristan well here. The exterior of Forty Martyrs Parish in Tuscola, Illinois. The architecture is classic basilica style and looks very much like something right out of northern Italy. All it needs is a bit of mosaic work. The woodwork surrounding the tabernacle is splendid. One detail I particularly like from the high altar. And just when you think you've seen it all, you see something else. This was across from the church at what, I think, is the courthouse. There is, perhaps, no greater irony than that wrought by God. Some months back I agreed to “cover” the weekend in Tuscola and Arcola, about an hours’ drive north of Effingham. The two churches in which I celebrated Mass – Forty Martyrs and St. John the Baptist, respectively – are very nice, though Forty Martyrs I preferred because of its basilica-style architecture complete with a clerestory (pictures will be posted in a later post). Prior to Mass I was informed that not only would there be no closing song at Mass but there would also be no opening song. The irony of this situation, in light of my recent post on the topic, was not, and is not, lost on me. Sometimes I think the Lord just likes to laugh at me. Saturday evening I think I spotted a young man with a possible vocation, though I didn’t have a change to say so to him after Mass. I informed the sacristy and gave him the mission, and my card. This morning after the early Mass – and just before I left for Mass in Arcola – an elderly woman thanked me for coming and told me to watch for water on the highway (thankfully there was no water on the road, but the fields are flooded). Apparently the area frequently suffers from flooding, though recent work on the drainage ditches and something has helped the situation. Her husband – who died ten years ago – once had to take a boat to work! You never can quite be sure what people will tell you after Mass. While I was greeting people after Mass in Arcola a man approached me who I met at the previous Mass and told me a woman died in the house across from the church half an hour earlier. After putting my alb and chasuble in my car, I retrieved my Pastoral Care of the Sick – in which is found the prayers for the dead – I went to the house to pray for the woman and with the family. After that I hopped back in my car and returned to Tuscola for one more Mass. All in all, it was a very good weekend, though I’m not used to three Masses in one day. I don’t quite have the stamina for three Masses in one day, let alone one morning. The sacramental work this morning, combined with the drive home and the drastically changing weather – has me quite exhausted. I’m preferring myself for an early bed – which is good since I have the early Mass – by enjoying a Dr Pepper with lemon and cherries (we’re out of pineapple) before working a bit more on my web site. much. But 'fear of God' is not anguish; it is something quite different. the concern not to destroy the love on which our life is based. Saint Augustine of Hippo, Confessions, I.1. Saint Francis of Assisi. In St. Bonaventure, The Life of Saint Francis, 6.1. Pope Benedict XVI, Homily, 15 August 2006. Fr. V. over at Adam's Ale has several fine posts up: one on Confession (and what to do before and during) and one on Mass Intentions, as well as another post on not confusing personalities, etc., with the Church. All three are worth a read. The American Papist passes on the happy news that, with the support of Archbishop Burke, Rosalind Moss is beginning a new Community. You may have seen her a time or two on EWTN or listened to her on Catholic Answers Live. The American Papist also points us to a despicable vote Senator Obama cast for the Infants Born Alive bill. I mentioned this a year ago Wednesday. Sr. Mary Martha answers the perrenial question about why non-Catholics may not receive the Eucharist. The Catholic Blog Awards are open and are accepting nominations. Longtime readers of this blog will know that I am no stranger to difficulties with the media - both secular and Catholic - and that efforts heretofore have not been fruitful. Today, though, that may have begun to change. The following excerpt comes from a Letter to the Editor that I submitted this afternoon to the Effingham Daily News in a meeting with the Editor. Two area high schools recently competed in regional Worldwide Youth in Science and Engineering (WYSE) competitions. One school in Farina competed February 6th at Kaskaskia College and one school in Effingham competed February 8th in Mattoon. Both schools earned first place in their respective regional competitions; the headline for the article regarding South Central High School in Farina explicitly stated this (as did the opening line) in the article published February 14th, while the article regarding St. Anthony High School in Effingham hid the corresponding fact within the article published February 13th without putting such information in the headline. South Central placed first in regional competitions last year, as did St. Anthony; this fact about South Central was explicitly stated while it was not stated about St. Both schools will go on to compete in sectional competitions in the Spring; the article for South Central explicitly stated this while the article for St. Anthony did not. Both schools submitted pictures of their teams: the picture of South Central’s team was published while the picture of St. Anthony’s team was not. St. Anthony’s WYSE team received second place in the State competition last year; no mention of this was made and was reported last year one month after the fact. South Central’s WYSE team coach was named but St. Anthony’s coach was not. excellent performance and wish them well in future competitions. In no way do we wish to detract from their recognition, which is rightly theirs. While we are grateful for the recognition given us, we wish simply to receive the same recognition for achieving the same. I brought with me one of our elederly parishioners who remains active and respected in the community to help explain and express our concerns to the Editor, who seems to have sincerely listened to us and offered explanations as to the differences of the two articles, which I will not go into here (though I will say that some fault lies with both sides). Suffice it to say that the Editor offered to personally rewrite the story and rerun the article early next week, including the picture. I am very pleased with the outcome of the meeting and hope that St. Anthony of Padua Parish and the Effingham Daily News will be able to communicate with each other and work together better in the months and years to come. Where was I going? Oh, yes. Second, we should note that we are not required to eat fish on Fridays. We are merely told to abstain from meat. In the Latin, we are told to abstain from carnis, which from the most ancient of times has always meant the meat of things that walk on the ground. How does a priest go sledding? Why does Easter follow the Lunar calendar?